Want to own an advanced spray gun for spraying car parts, home appliance parts, steel furniture, wooden products and so on? 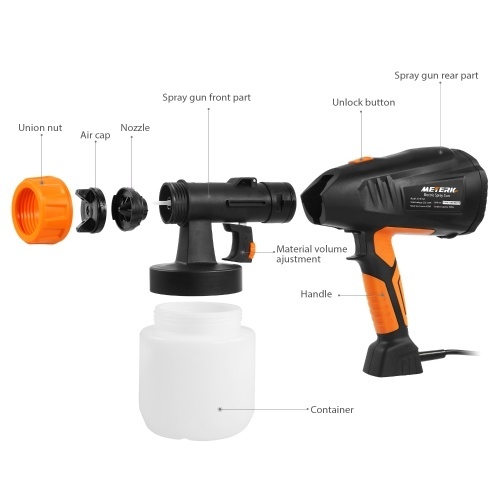 This professional HVLP spray gun is excellent for spraying basecoat or other high viscosity coatings for automotive industry, equipment and furniture paint applications. 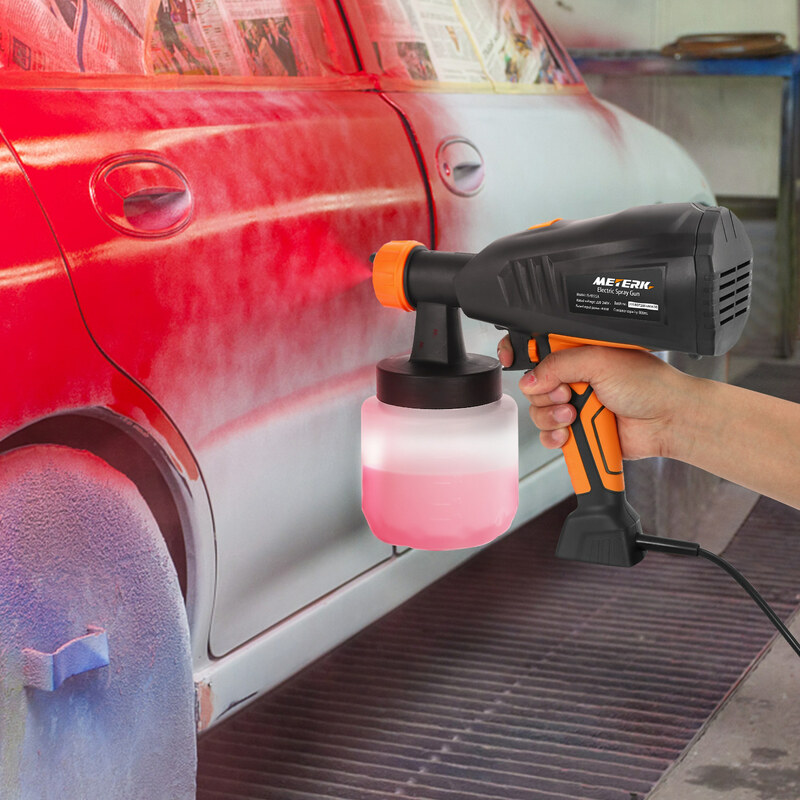 The in-built regulator ensures that you get the perfect flow of paint every time for thin, free flowing paints and stains! This optimized flow rate means your operating costs will be reduced - no more wasted paint. 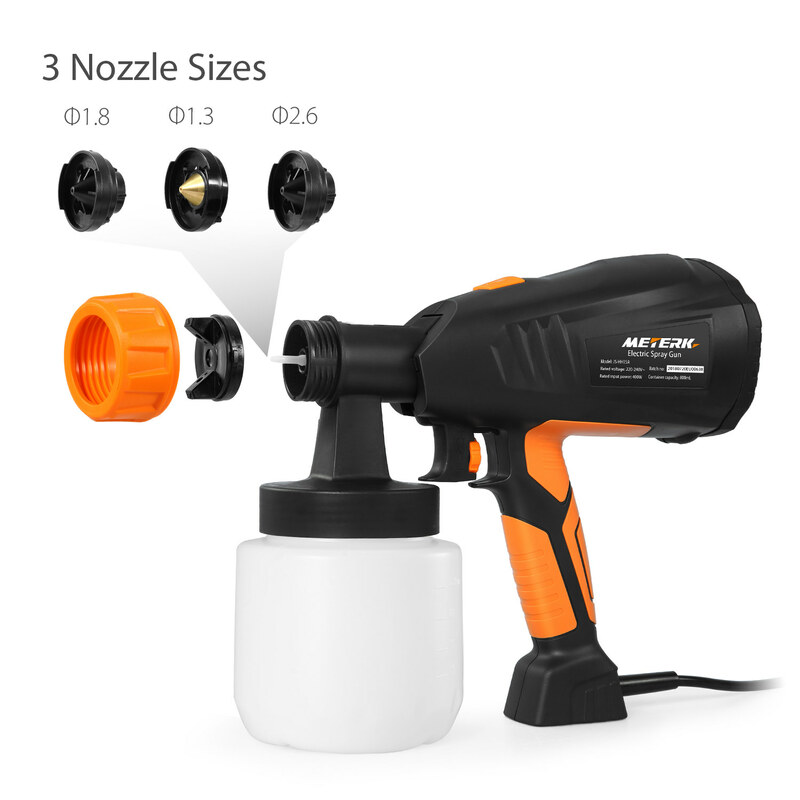 WITH 3 Spraying Patterns & 3 Nozzle Sizes - Can be adjusted to 3 different spraying patterns(horizontal, vertical and circular) with 3 nozzle sizes（Φ1.3/1.8/2.6mm), you can choose the desire one for your different work needs. 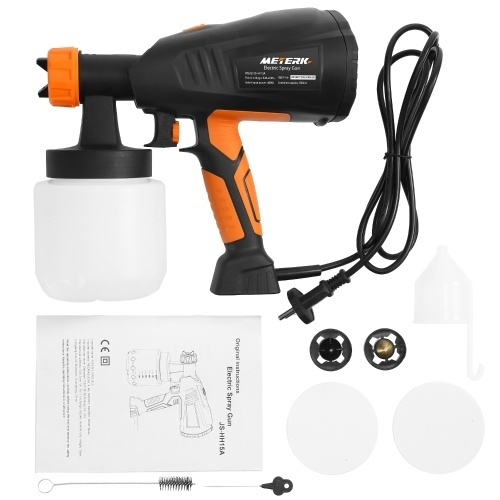 Adjustable Valve Knob & Replaceable Air Filter - With adjustable valve knob to adjust the flow rate for coating speed and project size for precise paint application, and it sprays coatings evenly without brush marks with 2.0m power line for changeable distance working. 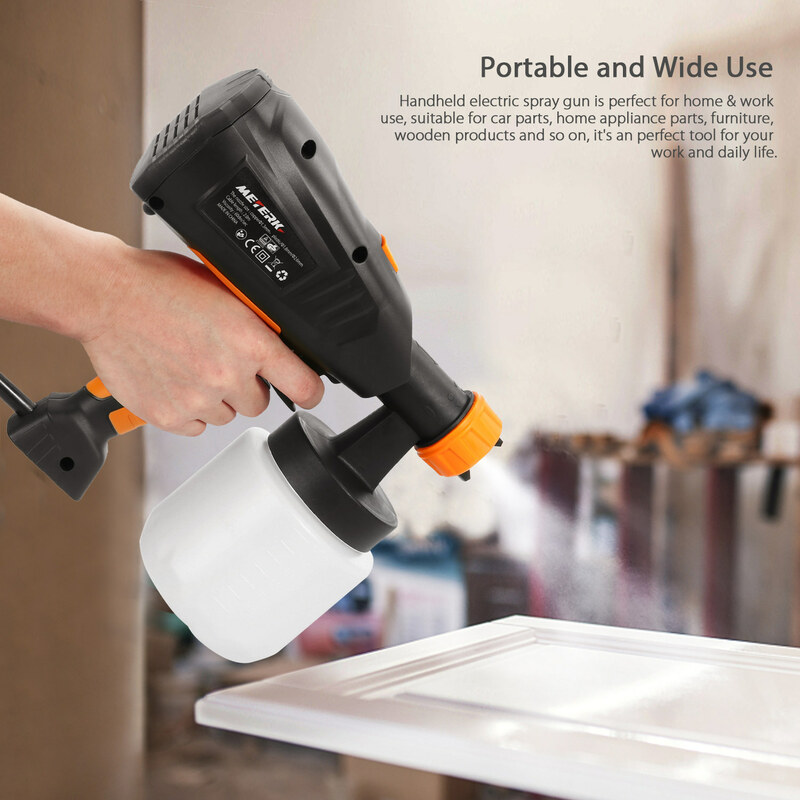 Portable and Wide Use - Handheld electric spray gun is perfect for home & work use, suitable for car parts, home appliance parts, furniture, wooden products and so on, it's an perfect tool for your work and daily life. Easy Cleaning & Detachable Design - All parts of the machine are detachable, so you can clean it conveniently. 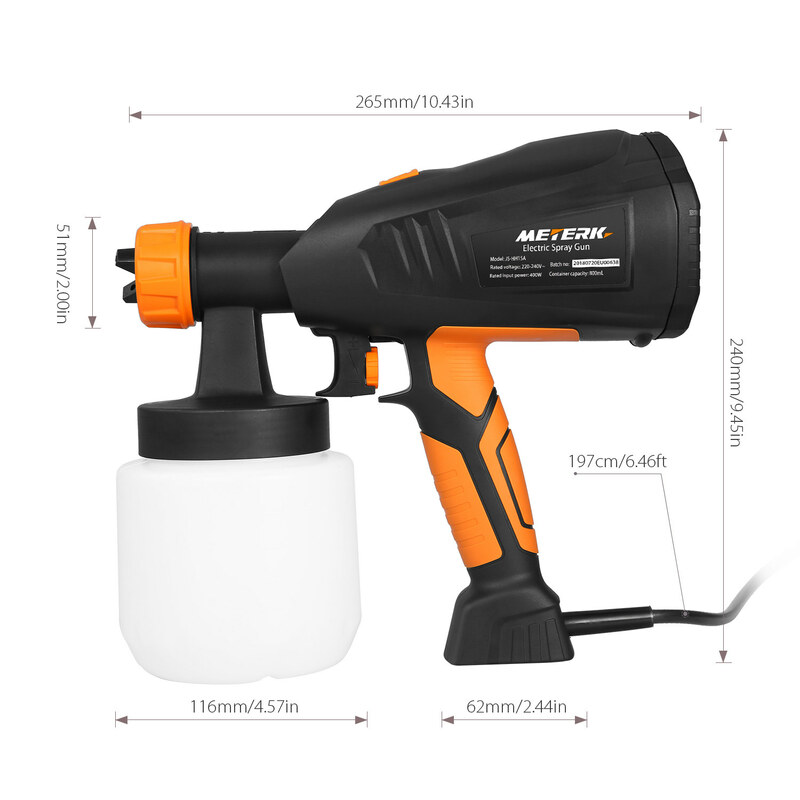 With a viscosity cup to measure the viscosity of the paint. Convenient for cleaning and washing the nozzle. High Volume Low Pressure & High Capacity & Easy Filling - HVLP for excellent spraying efficiency and non-pollution. You can open the container cover to add the paint without taking down the 800ml container. 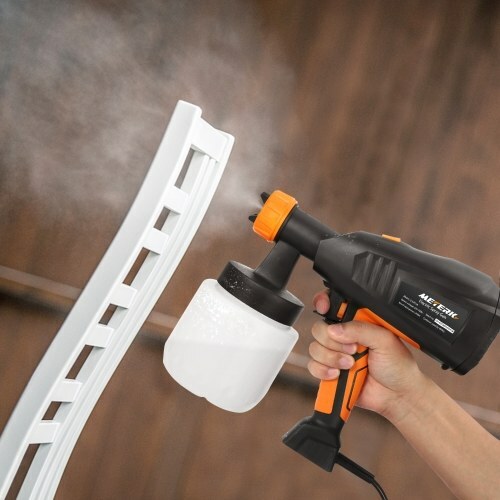 It's easy to add paint and easy to control the smoothness of the paint.